We are a family business specialising in classic and custom American cars and vintage hot rods for weddings, civil ceremonies and promotional purposes. Based in Coventry in the heart of the Midlands we are perfectly located to serve central England and beyond, having also provided classic American cars for weddings in locations such as South Wales, Berkshire and Cheshire as well as more locally. We pride ourselves on a tailor-made personal service - our aim is to help ensure your special day is one you will remember for many years to come by supplying the stunning classic American vehicle of your dreams. All wedding cars come with the ribbons of your choice, immaculately turned out driver in vintage attire, and the music of your choice if desired. Please feel free to navigatge through the site for further details on the cars, galleries from previous weddings and a guide on prices. For a no obligation quote, please get in touch via the Contact Us Page, or give us a call. Thanks for visiting Classic American Wedding Cars. "Thank you so much for all you did for us at our wedding. The service you provided was excellent. Nothing was too much trouble and you were so friendly. The Chevrolet is amazing and we would definitely recommend you. Thanks again." "The blue Chevrolet was such an amazing car, it was gleaming when it arrived and made our arrival to our Civil Partnership Ceremony very special and also a lot of fun, we had so many fantastic comments about it throughout the day. "I would like to say a huge thank you. Having your car in our wedding photos was great, it really turned some heads!" "We would like to thank Rob for being our chauffeur for our wedding day and driving us in his gorgeous Chevy Bel Air, the car was amazing and pristine and was the thing our guests talked about the most and continue to do so now. "Hi Rob, you and your car were fabulous. Thank you. Our day was amazing. I can't believe how perfect it all was. The cars were a great attraction for all our guests, they loved them all." "Needless to say our instinct to go for your car on our wedding was spot on. Family and friends commented on how great our wedding ride looked and how they wished that they’d had a car like that on their wedding day…. and for that we both thank you." "Superb day from start to finish, thanks Rob. Indeed greatly enhanced by the presence of your fantastic car, truly gorgeous motor and a great privilege to have been in it. "Me and Linzi would like to thank you for the 53 Chevy that brought me to Mythe Barn. It was a great way to start the day and is something I will always remember. We can’t wait to see the photos. Thanks again." "Just wanted to thank you all for the service and for the cars and drivers you provided for our daughter's wedding at Long Barn Village in Alcester last Saturday (10th August). The cars went down a "storm" and in the words of our youngest granddaughter "they were awesome" and they helped make the day. Thank you once again." "Thank you so much Robin for being a part of mine & Bobby's special day. Your car is absolutely amazing, so many people commented on how perfectly it fitted with our day. I also want to thank you for everything you did for us on the 1st June. It was a pleasure meeting you and your fabulous Plymouth." "We adored the car and Tom definitely thinks it was the best bit of the whole wedding! "Hi Rob, just wanted to say thanks once again for Friday, we had a fantastic day and your car was awesome. Cheers,"
"Just want to say thank you so much for your services on the day, the car looked awesome (as did yourself) and was a real talking point." "Rob, thanks ever so much for helping make Saturday’s wedding - great car, great service and a great day, I can't recommend you well enough." "Just wanted to say a massive thank you for the cars on Saturday the 19th. They looked beautiful and everyone said how fabulous they were! Brilliant job, thank you! "Hi Rob, I would like to thank you for being so helpful and providing the 1953 Chevrolet Bel Air for our wedding day, it was amazing and I would like you to pass on to the driver how professional friendly and helpful he was. Thank you." “Rob was extremely friendly and professional and the car was kept in immaculate condition. Rob even wore a 1950’s style suit which was a fantastic touch. If you would like us to provide you with a quote, please fill out the form below or alternatively visit our booking page to submit a more detailed booking enquiry. 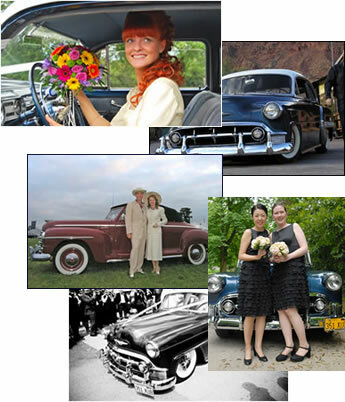 Classic American Wedding Cars are proud to be a member of the National Association of Wedding Car Professionals. All of our cars are maintained to an extremely high standard and all hold a current MOT, full specialised wedding car hire insurance and public liability. Copyright © 2016 Classic American Wedding Cars. All Rights Reserved.